Home » WordPress Plugins » Survey & Polls Addon By WPForms – Best Survey Form Plugin For WordPress! Survey & Polls Addon By WPForms – Best Survey Form Plugin For WordPress! Today, you are going to learn about yet another powerful add-on of WPForms known as survey and polls. With the help of surveys and polls addon by WPForms you can connect with your website audience in less than 5 minutes. The best way to gather data and connect with your audience. What is Surveys & Polls Addon For WPForms? With the help of Surveys & Polls addon by WPForms you can create survey/poll forms on your WordPress website in minutes. You can now quickly enable or conduct a survey or poll on your WordPress website. In addition to this, you can analyze the data collected via surveys and polls through interactive reports. Start Building Smart Survey Forms Today! 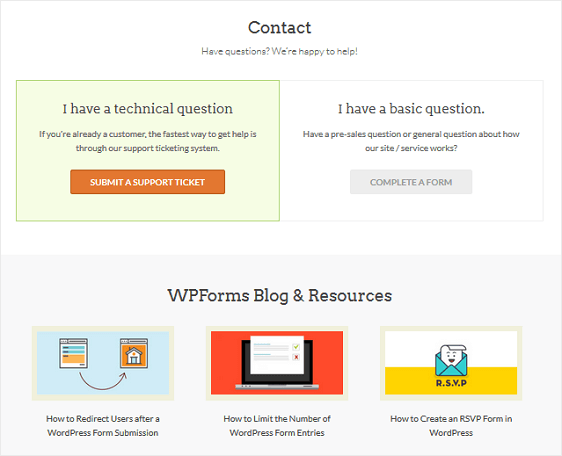 Why WPForms is the Best Survey Maker Form Plugin for WordPress? WPForms provides all the basic and advanced feature that you need to create either basic or advanced form templates. You can view the entire WPForms – a drag and drop form builder WordPress plugin review. To know the insights on why it is so powerful tool. Apart from creating the registration, admission, lead generation forms! You can make some more advanced forms like surveys and polls. You can now make implement – multiple choices, Likert scale, ratings, file uploads and much more to your WordPress form and can also integrate your form with email marketing services & payment apps. These are some must have features which many form builders lack in order to build a strong, simple yet productive forms for surveys and polls to your WordPress website! Using WPForms drag and drop builder, it gets very easy for you to prepare online surveys & polls in minutes rather than hours. WPForms survey reporting automatically builds beautiful reports and real-time insights with the best visualizations for each type of questions. Apart from it, you can customize the reports, export it for the presentations in JPG, PDF format or even print it to show pictorial graph and bar presentations to your users! Calculate the customer loyalty points by creating NPS surveys in WordPress with WPForms WordPress survey addon. For those, who don’t know what is NPS survey! I would quickly sum it up as – NPS stands for Net Promoter Score, the score which you calculate about your services, brand or product offerings from customers. NPS is the single question asked to customers as – “On a scale of 0 to 10, how likely you liked our service?” This helps you to understand your customer satisfaction with your brand. WPForms survey addon provides all the necessary fields required to place in the form as – Likert scale, Star ratings, Multiple choice, etc. Create polls easily, analyze and display the real-time results on your website. With the conditional logic feature, you can personalize your survey questions in the form based on previous answers of users. Powerful survey logic feature also allows you to collect real-time insights to make data-driven decisions. This feature helps your team to response quickly to all leads by sending out notifications. WPForms supports ticketing system for technical issues and form submission for basic enquiries. You also don’t have to worry about whether you get notified whenever a user submits a form! WPForms uses WP Mail SMTP plugin to ensure everything works fine. If you have any issues with the plugin there is a dedicated team to set it up to your website. You can manage all your collected leads in one place for specific forms. All leads/account management at same place is also known as entry management feature in WPForms. As you can edit, manage or delete entries from a particular form. View the entries in graph format to know which survey or poll form is performing better. In addition to popular payment integration apps like Paypal and Stripe. Zapier addon with WPForms gives you more power to connect with more than 1300+ web apps and CRMs. Connect your forms with amazing apps like – Asana, QuickBooks, Google Calendar, Sendy, MailChimp, AWeber, Campaign Monitor, Constant Contact, Drip, and GetResponse. 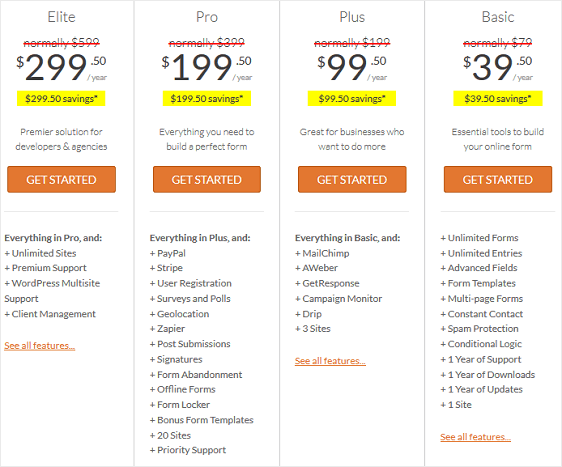 WPForms pricing plans are lower than compared to its competitors like SurveyMonkey. Even if you pay for more upgraded plans of WPForms to get advantage of email service providers or payment integrations, addons, and priority support. WPForms is still affordable over others. The Best Part above All! With no additional or hidden coverage plans like other WordPress contact form plugins, WPForms gives you 14-day 100% money back guarantee. There is absolutely no limitation for you to build powerful surveys and polls using WPForms. You get every feature in hand all in one place. There is absolutely no requirement of 3rd party plugin installation to your WordPress! As WPForms Surveys and Poll Add-on got you covered by advanced integrations. Give it a try and know yourself – Why people prefer it more than other plugins in the market!!! Create and Publish Survey & Poll Forms in Minutes! 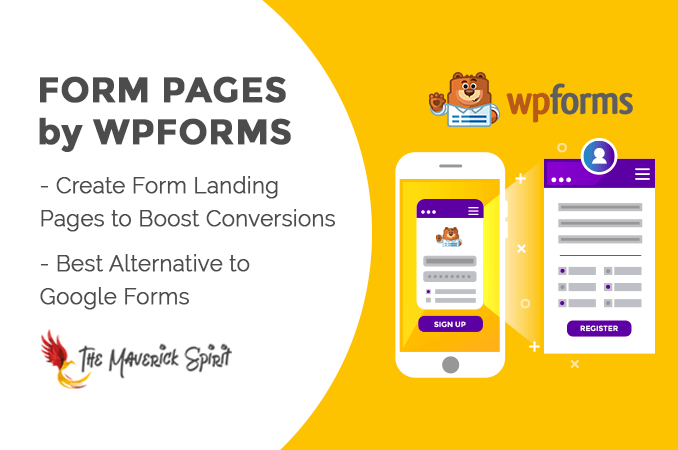 Form Pages by WPForms – Best Google Forms Alternative for WordPress 5+ Instagram Mistakes To Avoid By Graphic Designers!